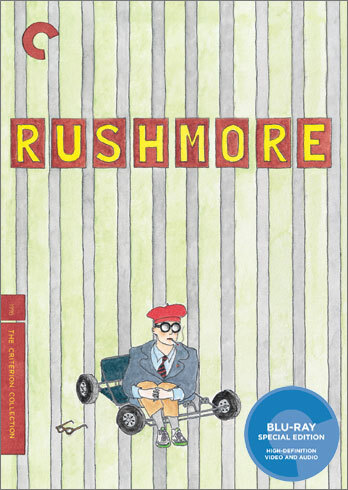 Rushmore Director’s Cut Coming to Criterion on Blu-Ray in November! Criterion announced their November releases this afternoon, and none other than Criterion stand-by Rushmore is coming to Blu-Ray! The disc will feature everything from the original, stellar, DVD edition, plus a brand new Wes supervised transfer of his “Director’s Cut.” We’re excited to see it, and hopefully this means we’ll be getting similar upgrades for The Royal Tenenbaums and The Life Aquatic. Click on the cover above to pre-order from Criterion, the disc will be released November 22nd.